I reckon comparing it to disks is the only valid comparison. No other method of physical delivery for long games available (tape is not an option). The real innovation of the cartridge in my opinion is the development of specific software that really takes advantage of the 512kb to see things that otherwise would not be possible. 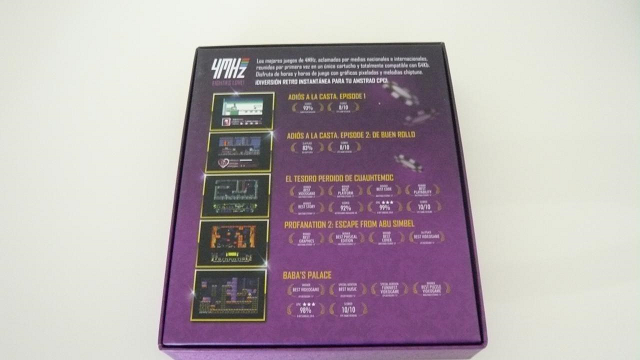 So that pack contains only games from the company 4 Mhz? I must say I never heard or played any of these games... were they very popular in Spain? Sorry for my ignorance - great ad campaign though, very professional! Good luck with the project! 4Mhz games are quite recent, but they are good games and is also a way to promoting the use of the DanDanator CPC cartridge as a cost-effective way of distributing new games. Indeed, to remain within the CPC experience, 4Mhz has only used one feature of the cartridge: using the memory paging as 6128 RAM paging, so games like Adios a la casta episodes 1 & 2 and Cuauhtemoc now work on both 128k and 64k CPCs, so 464/472/664/664+ computers and owners get the love they deserve . This added to the "order of magnitude" faster loading of games will keep the user within the CPC experience but without the hassle . I can't seem to find a study I once used about magnetic endurance and data retention, but again, using modern flash memory gives you orders of magnitude higher data retention (over 100 years), so your collectible set of games will most certainly survive you. 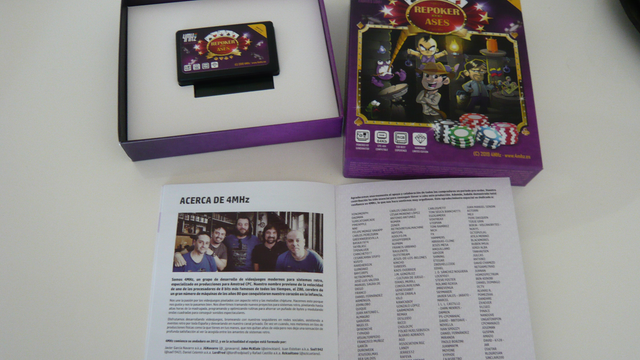 Both "Adios a la casta" episodes and "Lost Cuauhtemoc treasure" now compatible, for the first time, with Amstrad 64Kb computers. These games have been adapted to use the dandanator memory as paging memory so now you can have your game running transparently in a 64kb CPC. Max power to your 64Kb CPC!" 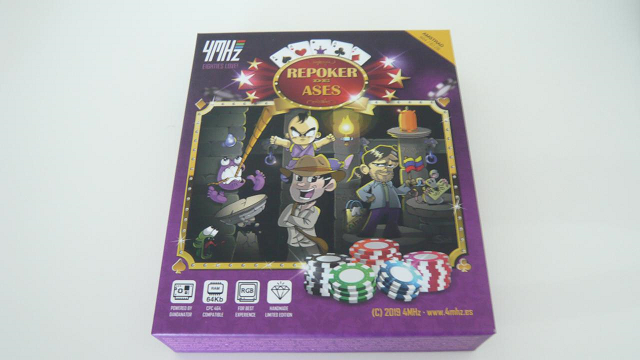 With this "Repoker the Ases" compilation, you have the chance of getting the first physical edition of "Baba's Palace" winner of CPC RetroDev 2017. You will also have the chance to get the sequel of the legendary game "Profanation". Don't miss it! Regarding the price, it's a case of the eye of the beholder (no jokes please) etc etc. I bought it to support the creators and to get something pretty much unique, and did not judge the costs involved. Baba's Palace alone is worth a great deal of it, after spending so much time playing it on my phone. Ordering on a Spanish-only site was a bit trickier than one is used to, but don't let that put you off! Hey guys, there are only four cartridges left , last chance to get the pack. If you guys want to make a German translation then let me know, I can do that for you. (Orion Prime was bigger for sure regarding the text, so it shouldn't take long). This man is talking too fast. I saw on the 4mhz website that at the moment the product is out of stock, but will other units be produced as far as you know? I would also be interested in a physical copy of Operation Alexandra! On the website operation alexandra is annonced on tape, but no floppy release yet. Dammit, couldn't ikt have arrived last Friday? Page created in 0.343 seconds with 90 queries.